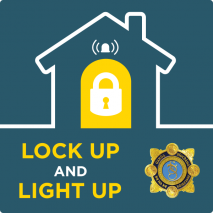 An Garda Síochána have published some simple and practical steps to keep you and your home safer this winter. As part of Operation Thor, Lock Up and Light Up this Winter, the pdf file and site highlights the key facts and the recommended Safety Tips and Seasonal Safety Advice for staying safe this winter and Christmas Season. If you have any questions about home security this season, please contact us.